The babes. More hairspray and vintage than you can shake a vegan corn dog at. We spent an awesome weekend in Portland last week for Melisser’s birthday, and I’ve slowly been trying to get all the highlights into a post for you this week! 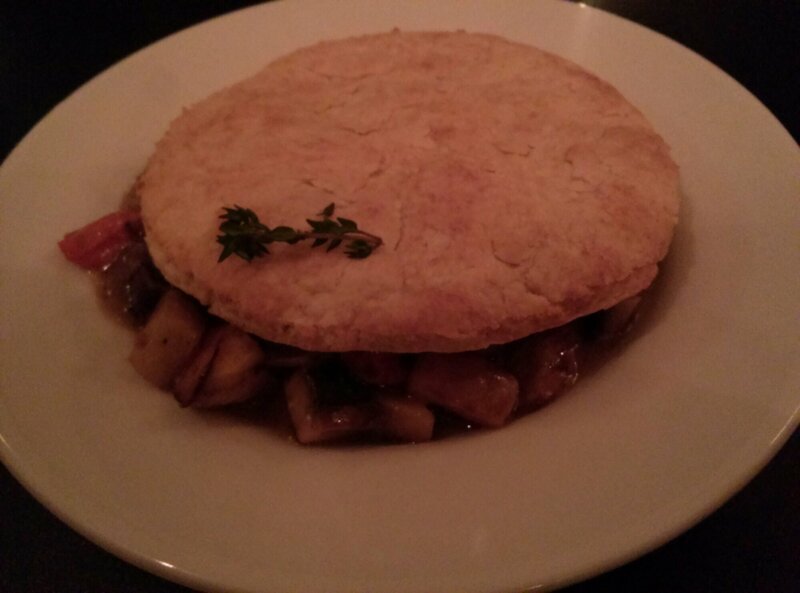 Pot Pie with an enormous biscuit top! Pot Pie $16, roasted portobello, carrot, turnip, and parsnip enveloped in a creamy herb filling, topped with a truffled biscuit crust. This thing was full of mushroom, so I stayed away, but it was a popular dish at the table, and Thomas did a great job of polishing his off. The picture doesn’t really do it justice. That is one BIG biscuit! I finally decided on the Ratatouille $15 (Gluten free, Soy free), crispy polenta cakes in a roasted red pepper and tomato sauce, with roasted eggplant, zucchini, squash, onions and herbs, topped with walnut parmesean. Again, sorry for the dimly lit photo. This was really delicious. 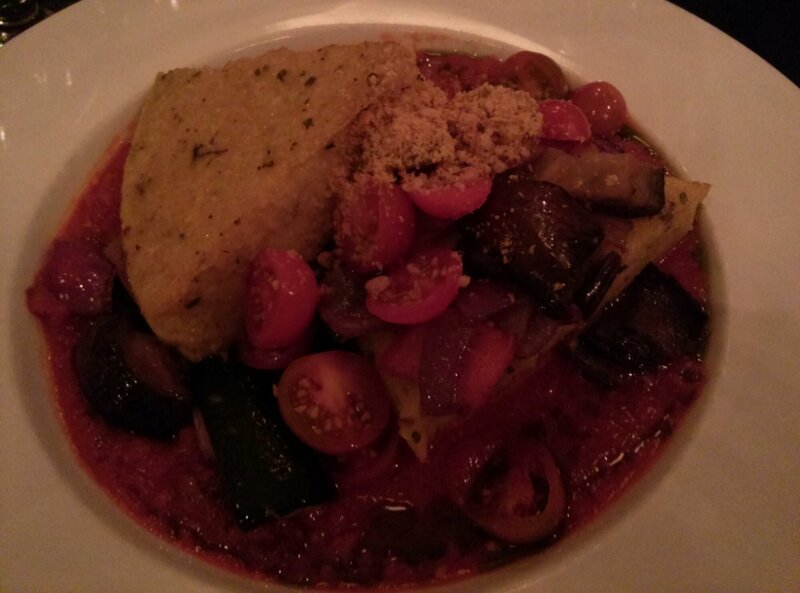 Two giant pieces of polenta with incredibly flavorful veggies, especially the eggplant. SO much food! After this we went to a really weird drag show, then a super sweet arcade (GroundKontrol), and then a final end of the night stop at the closest food carts. Fried dough. ALWAYS a good idea! 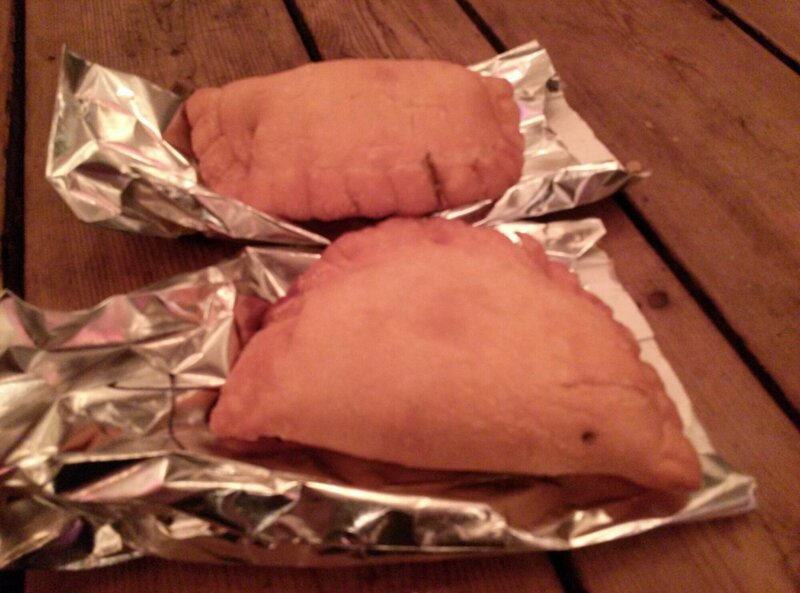 That’s where we found the yummiest truck of all [in my opinion], the Whiffies hand pie truck! While it may not be fully vegan, 1 of the 3 savory pies is vegan, and all 5 of the sweet pies are too. We ordered the Tofu Pot Pie and the Grannie Smith’s Apple Pie, both nights we were there! SO DELICIOUS. 😉 The other reigning champ for the rest of the table was the Potato Champion truck, where vegan poutine was gleefully ordered and shared on both nights as well. Alex. Jon. Melisser. 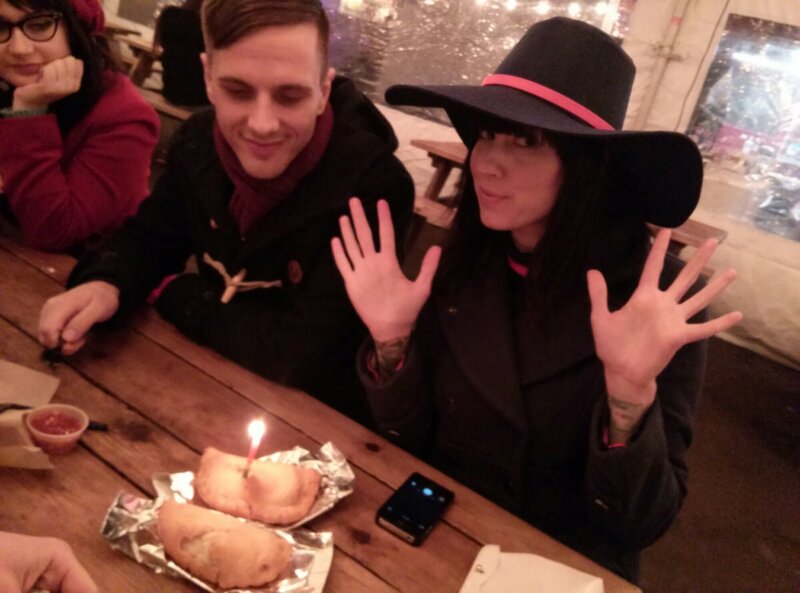 Birthday hand pies. The Whiffies employee was also the one who gave us the rainbow birthday candle that would serve to adorn Melisser’s every meal all weekend. Said employee recognized me from the blog, and introduced himself as we were leaving. (Thanks for saying hi!) 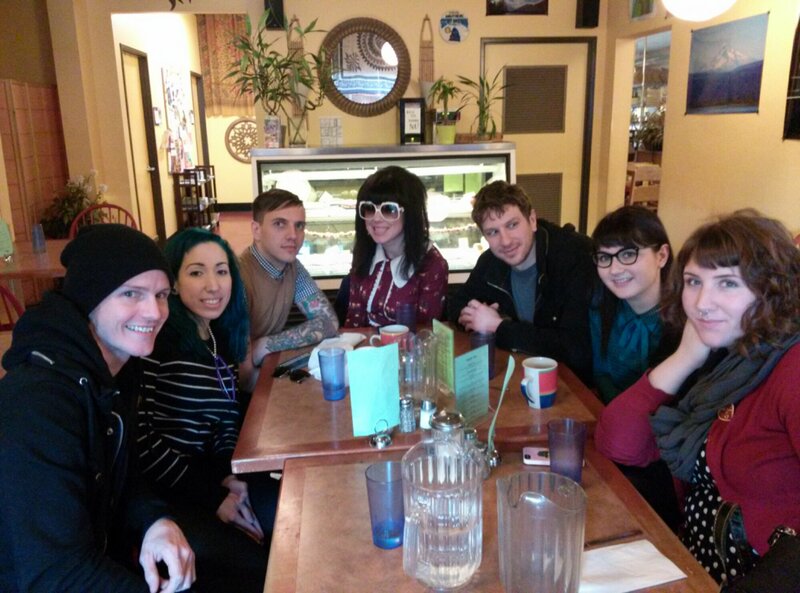 Turns out he was Rian of This Vegan Mouth, who blogs about all the amazing eats in Portland. (Check it out!) So nice to meet vegan interwebs friends in person! After this we finally went back to the house to hang out. Melisser rented this super cute, 3 bedroom basement apartment for all of us to crash at on airbnb.com, which made the weekend that much more fun. 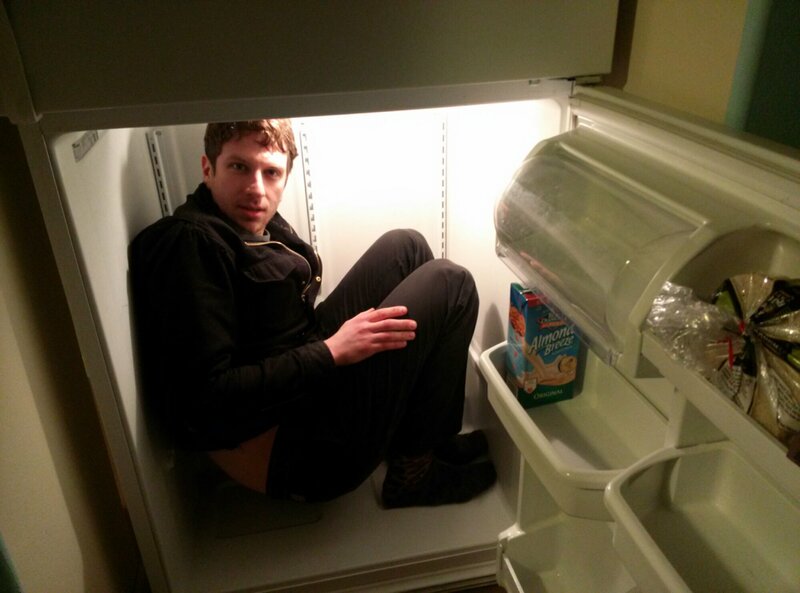 Did you ever see that episode of Punky Brewster where a kid gets stuck in an old fridge? Somehow I brought this, and how kids can get stuck in fridges up, so Kerry decided to disprove the myth immediately. Just for the record, Kerry doesn’t drink! Kerry writes a vegan skate blog at veganskateblog.com. (It’s about skateboarding though, not derby!) Turns out that at least with this particular model of fridge, he was absolutely correct. (The one in Punky Brewster had an old-fashioned latch.) Very little effort required to open it from the inside. But just to make sure, we all had to try it. 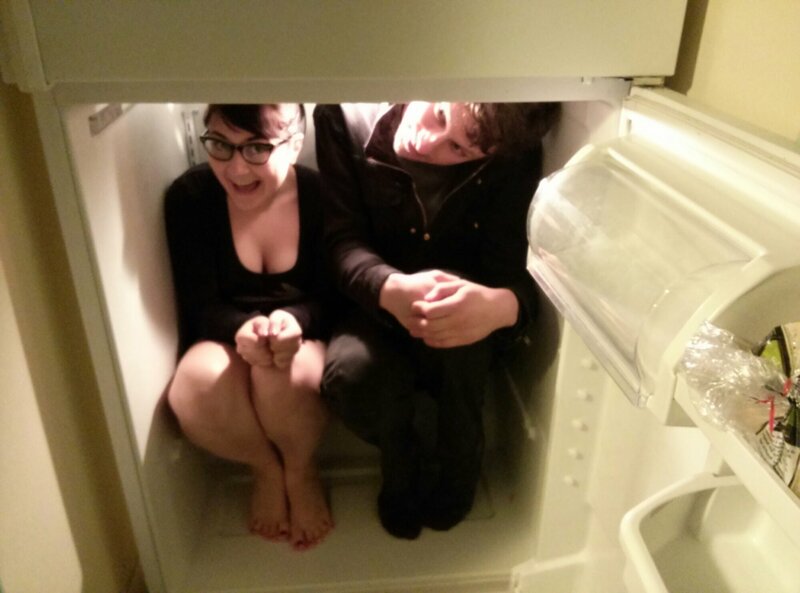 Alex & Kerry, in a fridge. For Science. 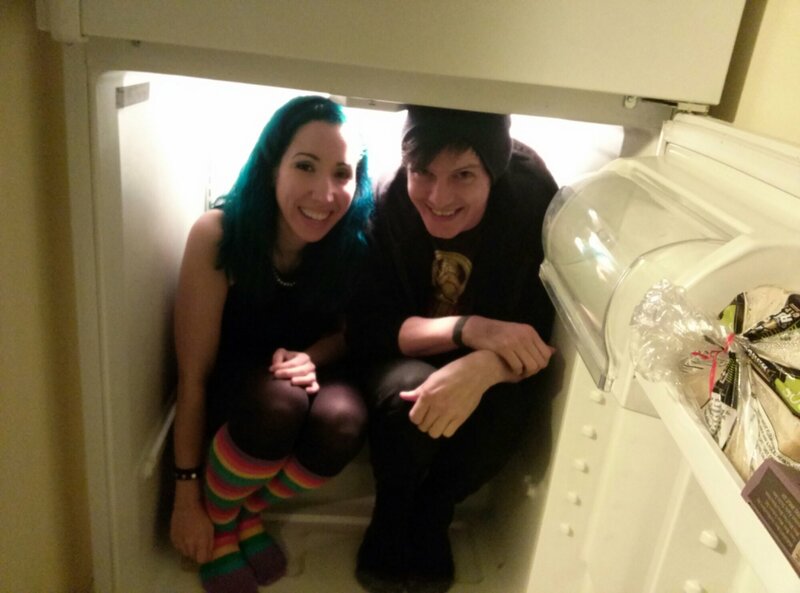 Thomas and I, in a fridge at least twice the size of ours at home. Brunch was at Paradox Cafe, so Thomas and I decided to ride our bikes over. 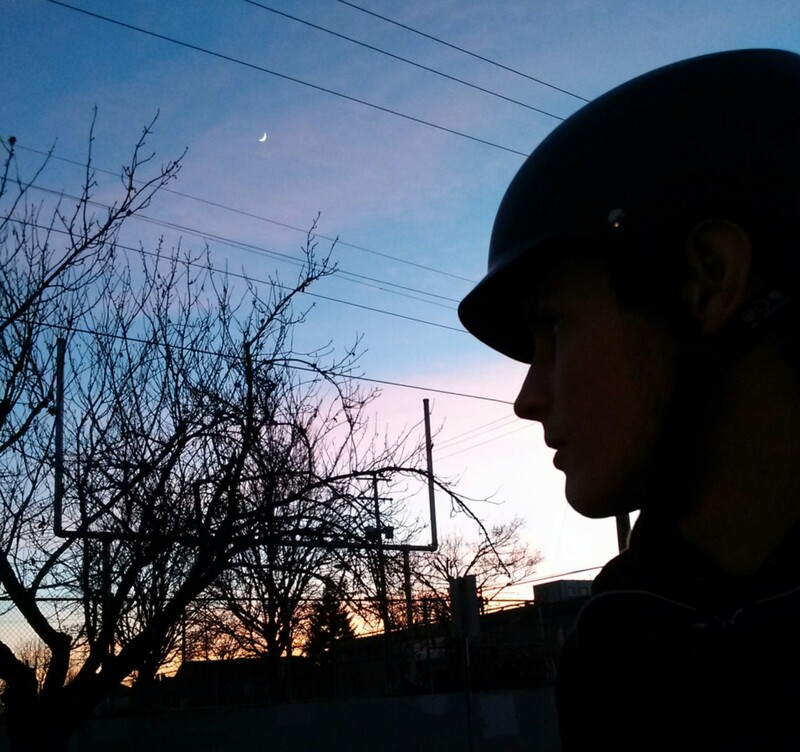 Seattle’s a bit too steep and crazy for me to get around much on my bike, so I was looking forward to getting to share Thomas’ favorite activity on flatter terrain. It turned out to be a really nice ride. 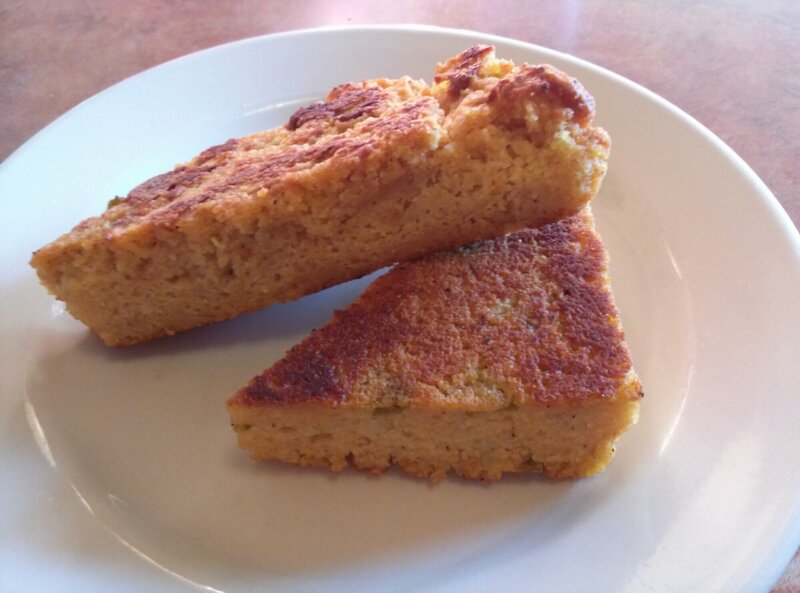 Vegan & Gluten free cornbread. We beat everyone there because we biked, but that gave us longer to check out the menu. I immediately spotted the cornbread, but was bummed because it only said gluten free. However, the waitress assured us that it was also vegan, and that the menu needs to be updated, so we ordered it to start. It had green chilis throughout it’s slightly crumbly texture, and was from the less sweet camp of cornbread. Now we both prefer the more southern, sweeter cornbreads, but will eat absolutely any cornbread we can get, so we liked it anyway. It had a nice crisp outside, moist inside, and good flavor. 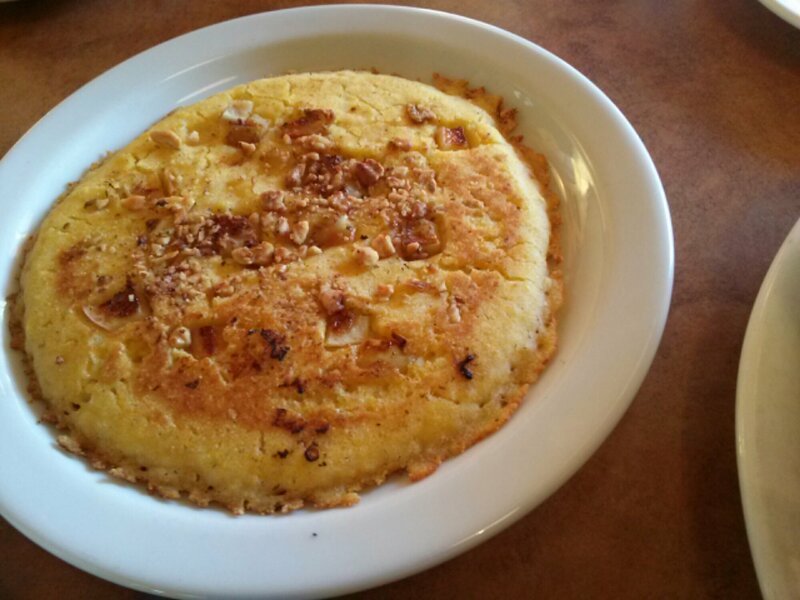 I had also spotted the Solstice Corn Cakes, which are [vegan & gluten-free] corn pancakes with apples and toasted walnuts, but couldn’t decide if I wanted something more savory instead. Fortunately, Brittney was up for sharing one. YUM. 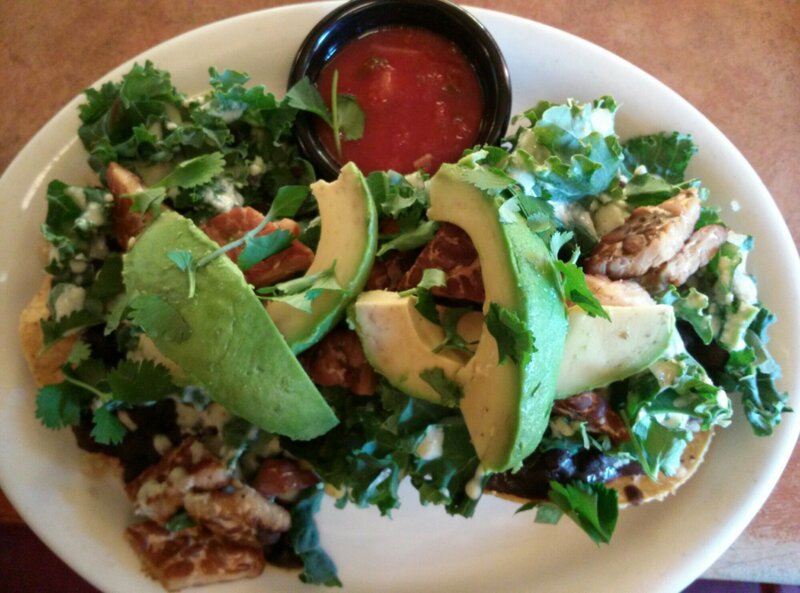 I ended up ordering the Tempeh-Avocado Tostadas $6.95, Black beans, quinoa, tempeh, arugula, (I had them sub kale! ), son risa sauce and avocado; served with homemade salsa. Totally delicious, huge portion, and cheap. 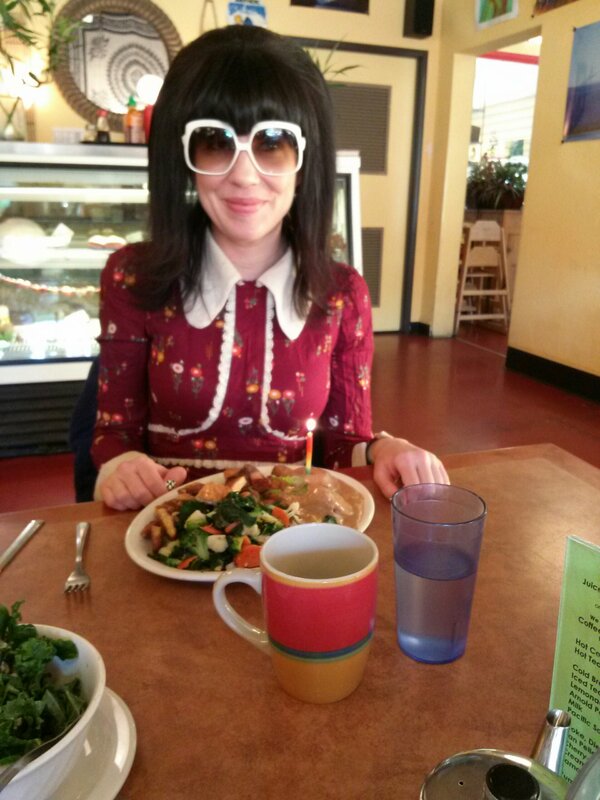 If I lived in Portland, I’d eat there all the time. Thomas got the The “Big” Burrito $8.50, A blend of steamed vegetables, tofu and our house chili; wrapped in a giant wheat tortilla, topped with salsa & green onions; served with breakfast potatoes. Only he got his deconstructed, served with corn tortillas to make it gluten-free. Put a candle on it. I’m not exactly sure what Melisser had, but we made sure to put a candle in it! And here we all are looking very full! 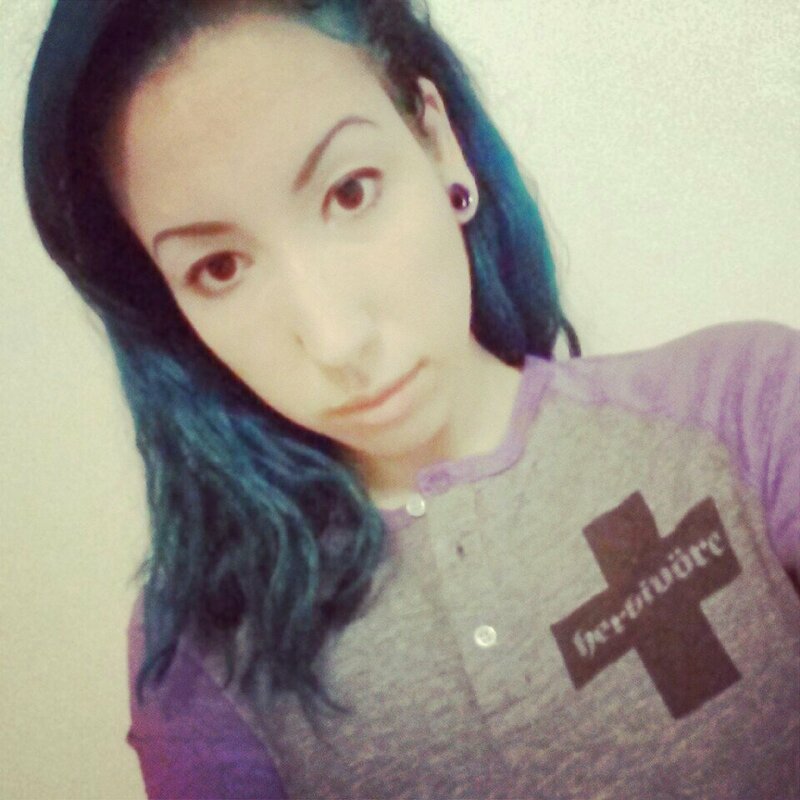 I picked up some super elusive and exclusive Portland soy curls at Food Fight Grocery, and then picked up a couple of cute tops at Herbivore Clothing for my ever growing collection. 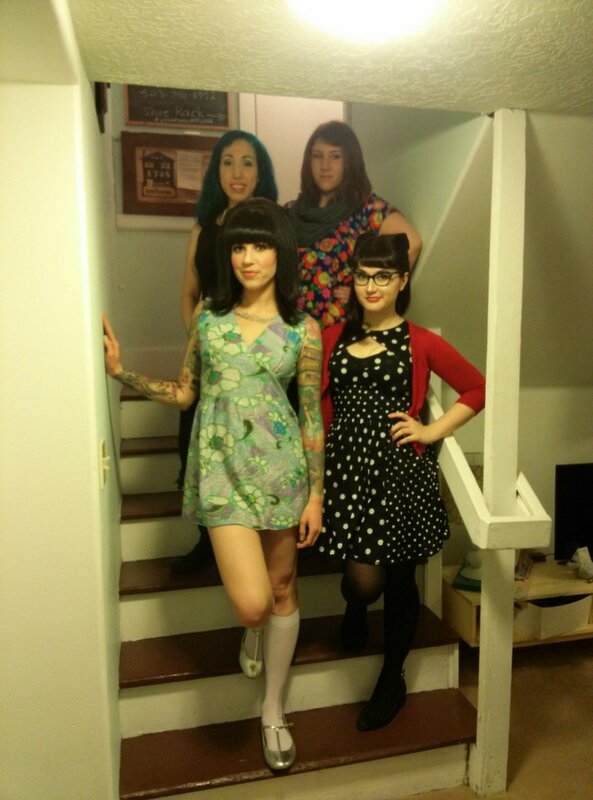 Then we cruised back home to get ready for a night of food and dancing. A lovely little sunset was waiting for us outside to bike back. Dinner was at White Owl Social Club. 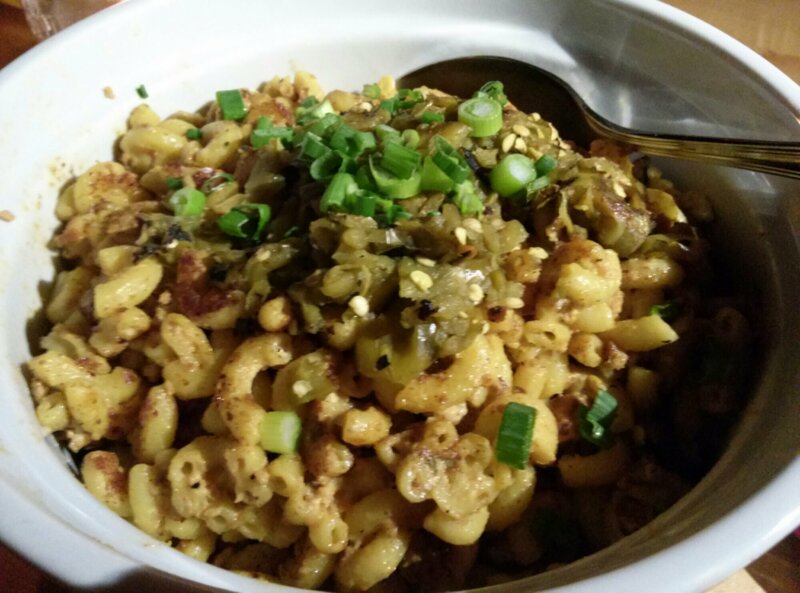 Melisser ordered this GIANT (Okay, Large) Hatch Chile Taco Mac, Vegan Mac and Cheese with Seasoned TVP, for us to share. It says the Large serves 4, but this was plenty of food for 6 people to share as a light meal. 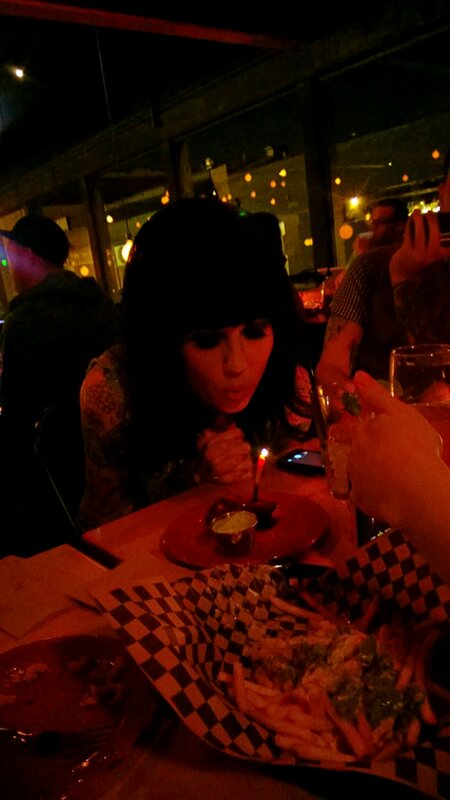 Melisser blowing out her birthday pickle fritter. Fries also pictured, albeit dimly! -Thanks for the photo Thomas! 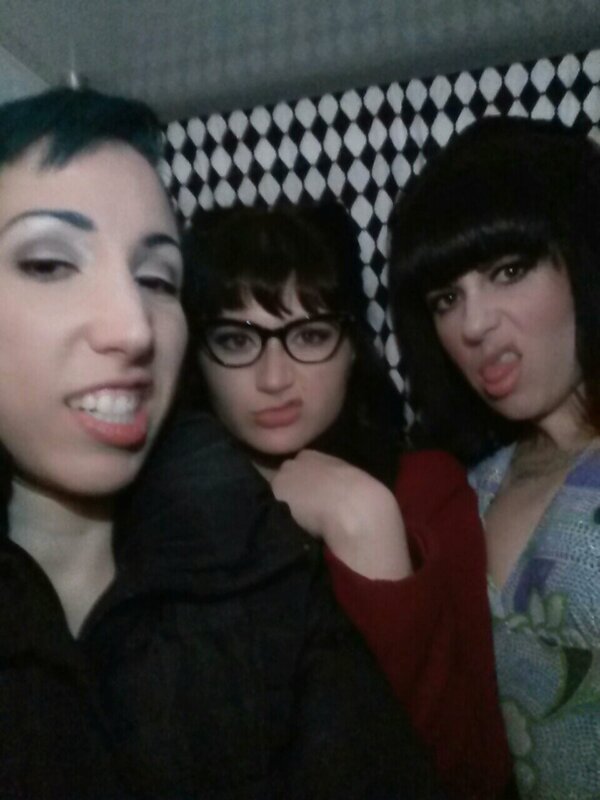 After some fun with the photo booth, we headed out to Star Bar to get our dance on. 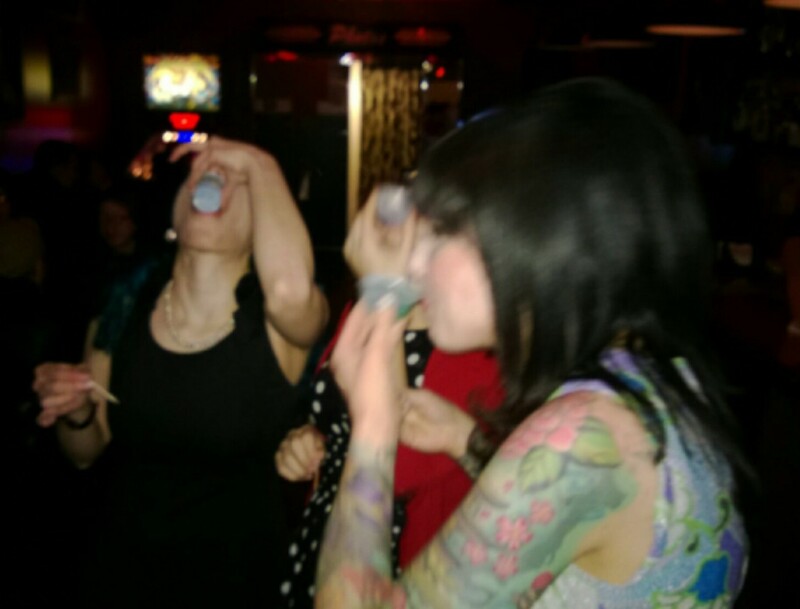 But Star Bar had another thing to offer us besides cool vintage tunes to dance to, they also had VEGAN JELLO SHOTS?!! Though half of the gang doesn’t drink, Alex and I were down, and Melisser decided to join us since it was her birthday. The well chilled vegan jello shots have a pretty thick consistency, but they give you a little toothpick to help break it up. They come in Kamikaze flavor, which is really not the greatest, but hey, vegan jello shots! Who woulda thought? Thanks, Portland. 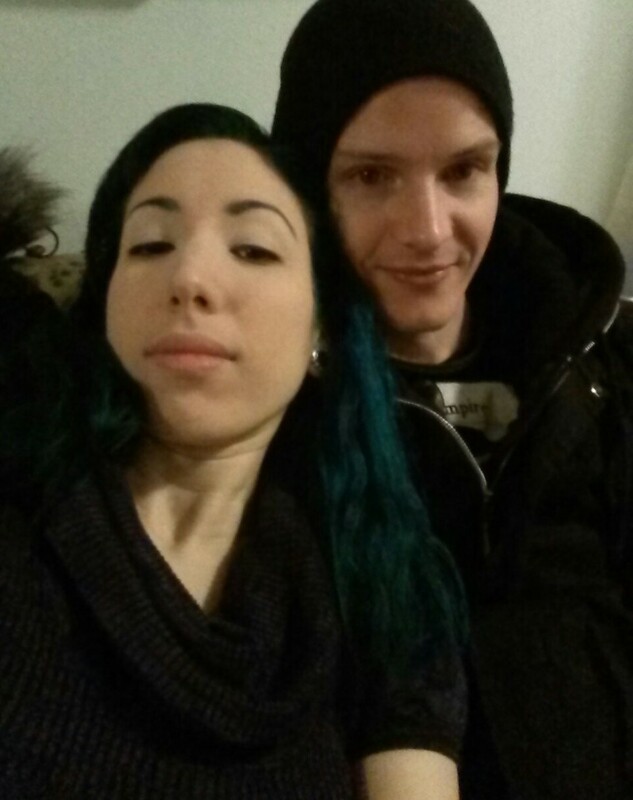 A thoroughly unflattering last pic of me & Thomas at our temporary weekend residence. 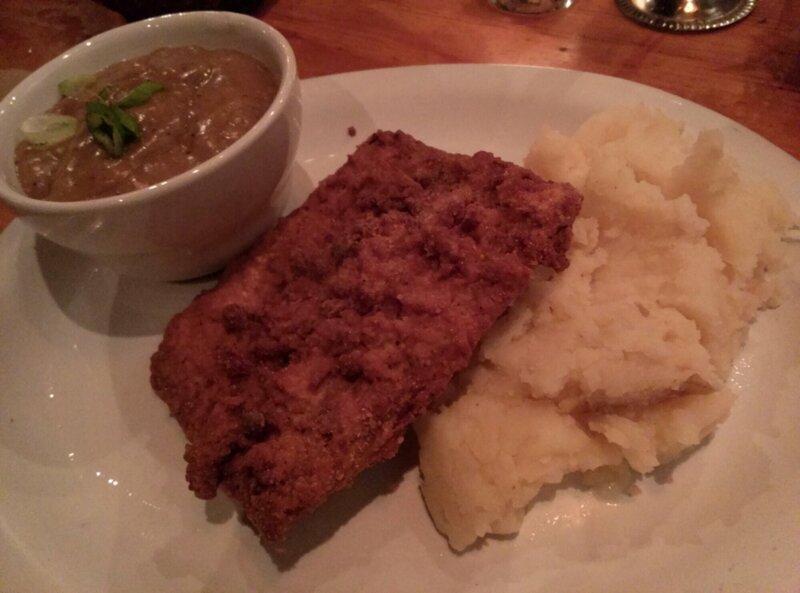 Melisser’s ‘CHICKEN’ FRIED STEAK $8.50, Batter dipped deep fried organic tempeh, mashed potatoes and almond gravy, looked awesome, but sadly (for me!) the gravy is made with almonds. So Thomas ordered it and had them put the gravy on the side so I could try it. I did dip my piece in a little gravy though, and it was super delicious! I would totally recommend it! 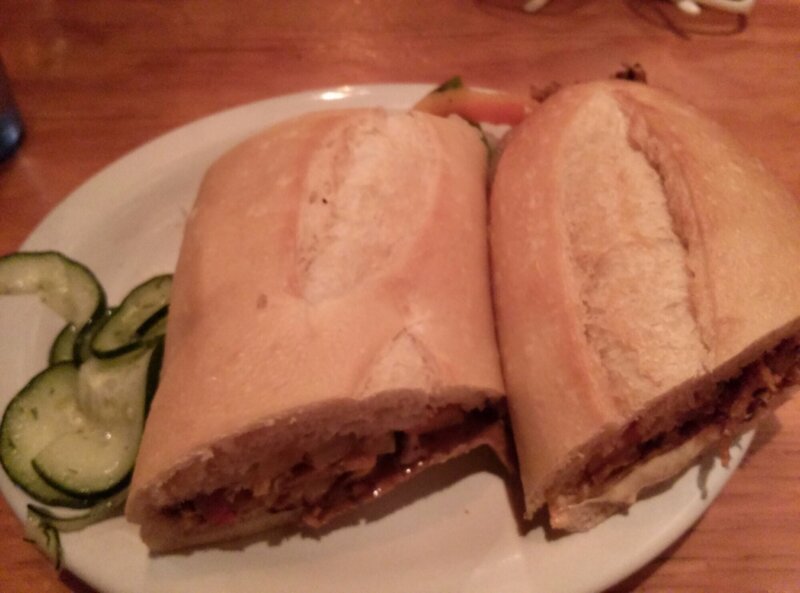 I had the SEITAN CHEESE STEAK $7.50, Sliced seitan with sautéed peppers, onions, mushrooms (no thanks! ), and real pepper jack cheese, vegan cheese (+$1) , served on a baguette. It came with some yummy pickle slices and was so good that I devoured the entire thing in no time. 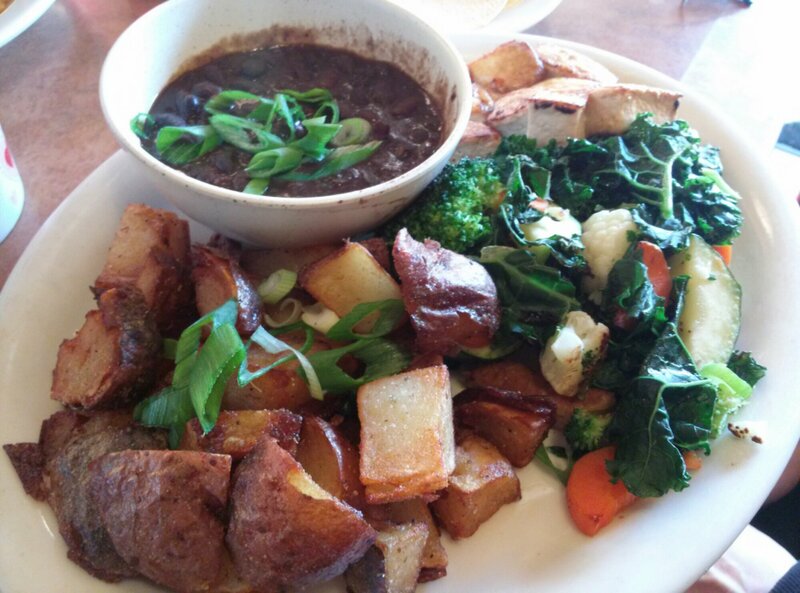 What are your favorite Portland eats?